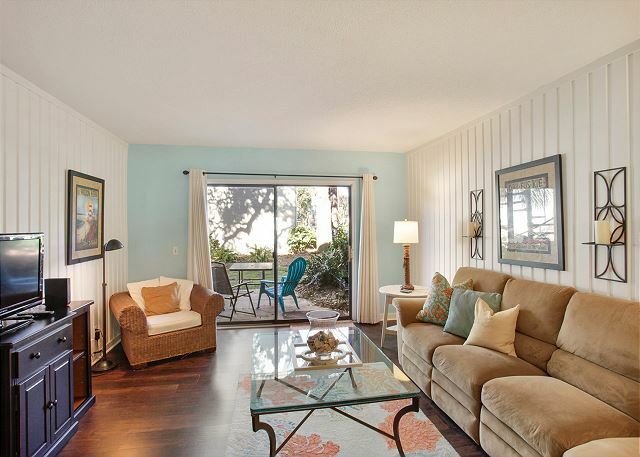 Surf Court 16 is in an ocean-oriented complex and is situated on the front part of the building closest to the Ocean.Forest Beach first floor condo sleeps up to 6. Accommodates people who avoid stairs. 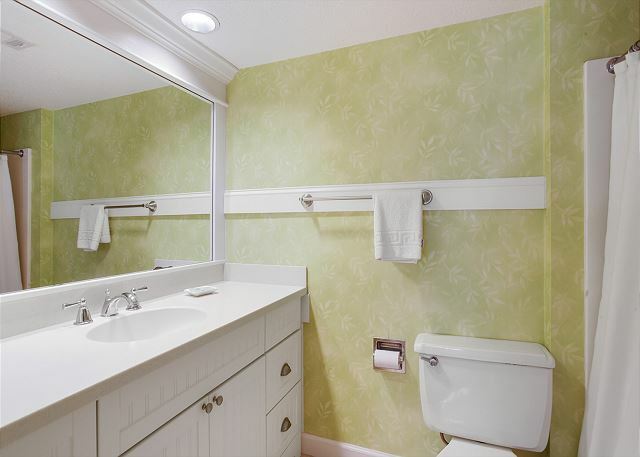 King in the master, two doubles in bedroom 2, living room sofabed, 2 full-sized baths. 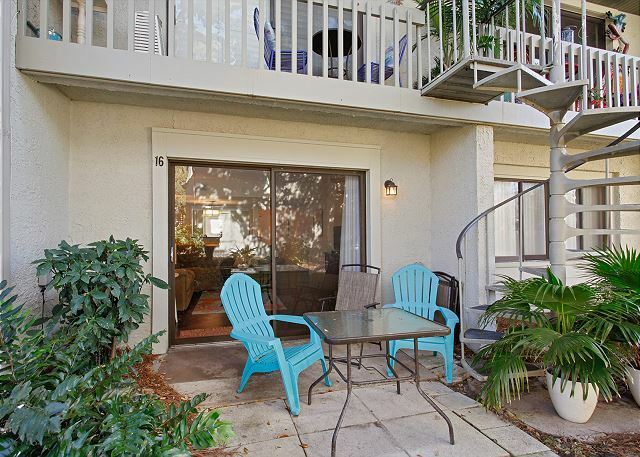 Vacationers seeking an easy walk to the beach and parking right in front of the condo will enjoy Surf Court. The living room slider opens to an outdoor patio which leads to the large pool area. 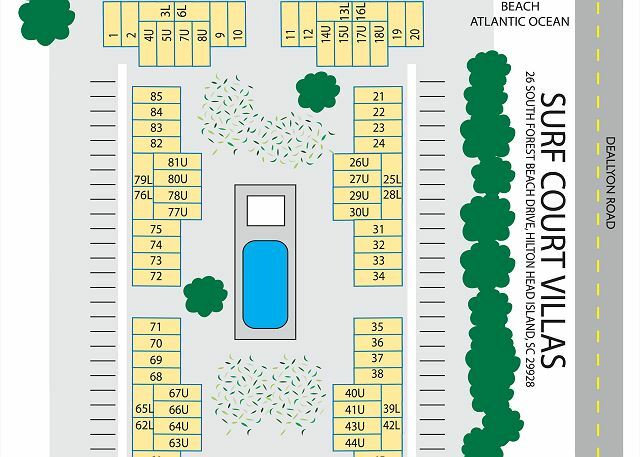 Surf Court is within 3 blocks of Coligny Plaza. 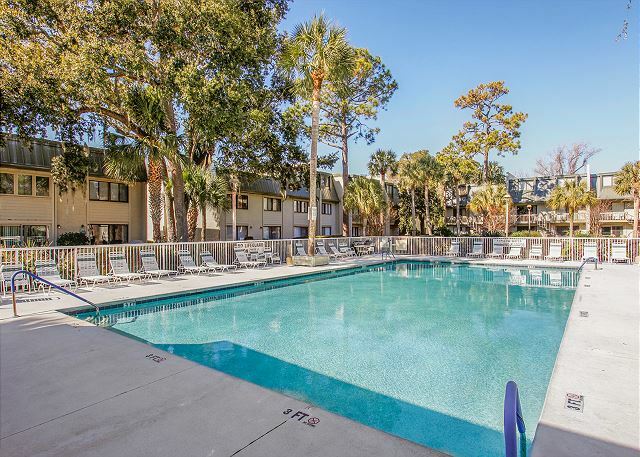 Coligny Plaza has several shops, restaurants, and activities that guests can enjoy. 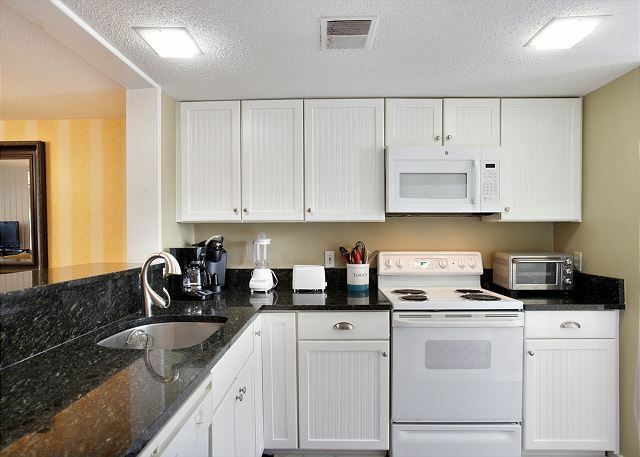 All of the comforts of home are featured in Surf Court 16, a Full Kitchen, Washer & Dryer plus wireless internet access and a nice ground floor entry. 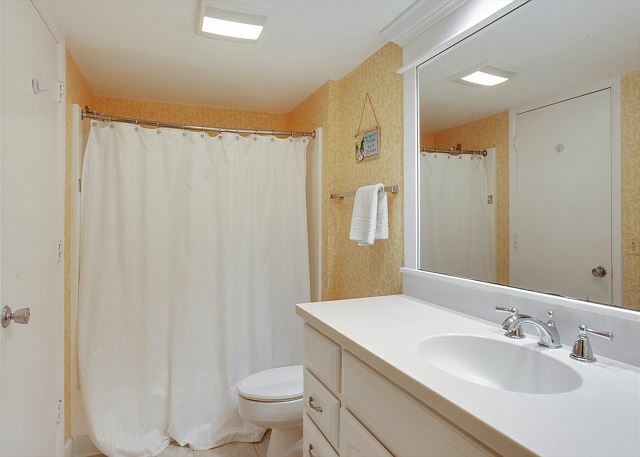 Nice,clean,amazing location close to bike path,beach and shops! Everything was good and clean for our visit. The beach was a short walk across the road. We had a great time. Very enjoyable week. Nice weather. October is a great time to visit Hilton Head. 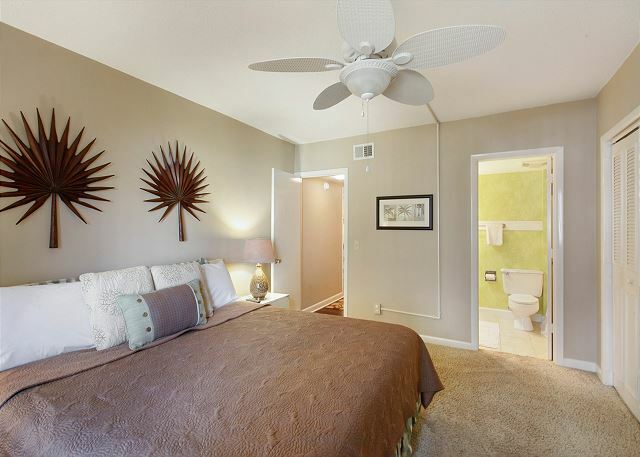 Condo was clean and comfortable and a great location. We enjoyed our stay at Surf Court 16! 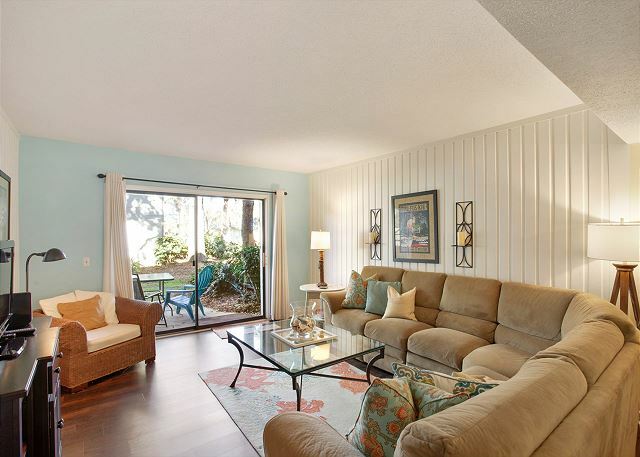 Excellent access to the beach and the pool. 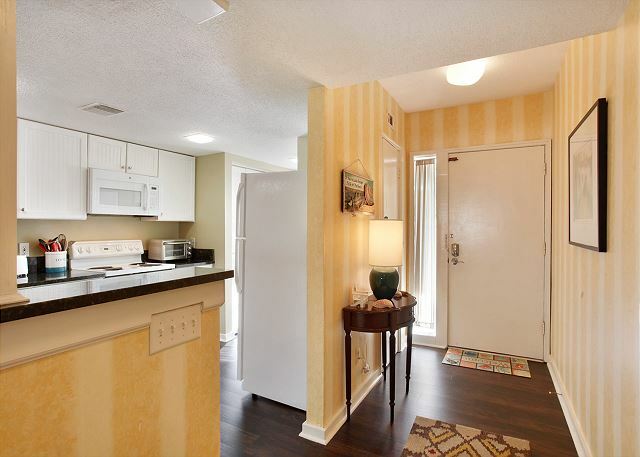 Walking distance to many attractions! We will definitely look at renting here again! Great location. Short walk to the beach, close to the pool, and the rental was clean and tidy. Unit 16 was very comfortable and inviting. 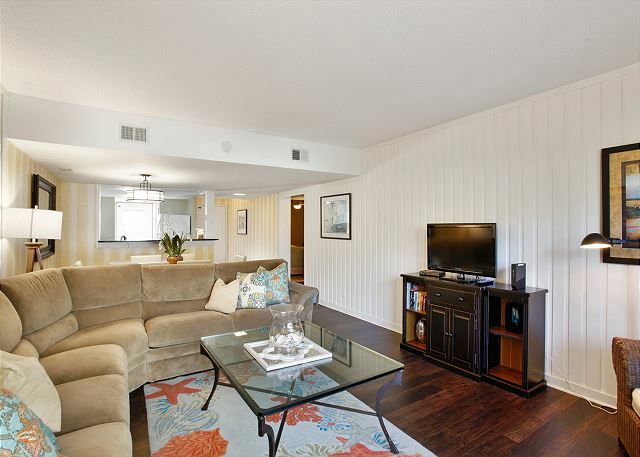 Our family has stayed in several Surf Court units and this was definitely one of our favorites! We loved our stay at surf court 16. The location couldn't be better! 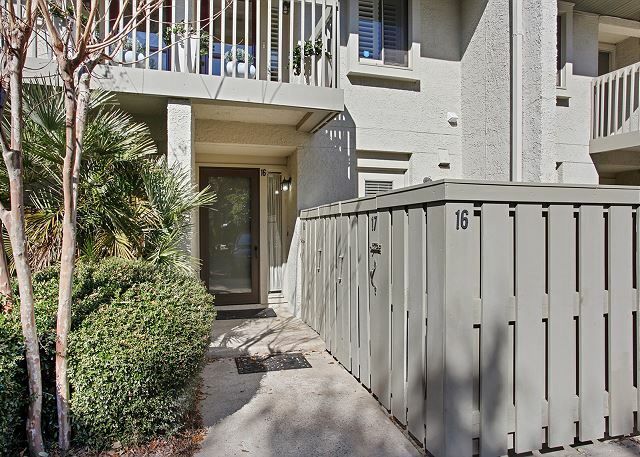 This unit is right in the front of the complex and faces the beach side. 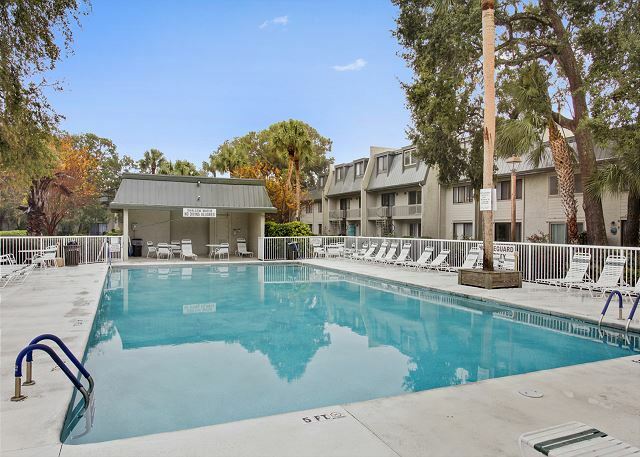 You are a 3 minute walk away from the beach and just steps away from the pool. Compared to the cost of a beach front unit, this is a no brainer. The beach front units use the same walkway to the beach. Save your money and stay here. 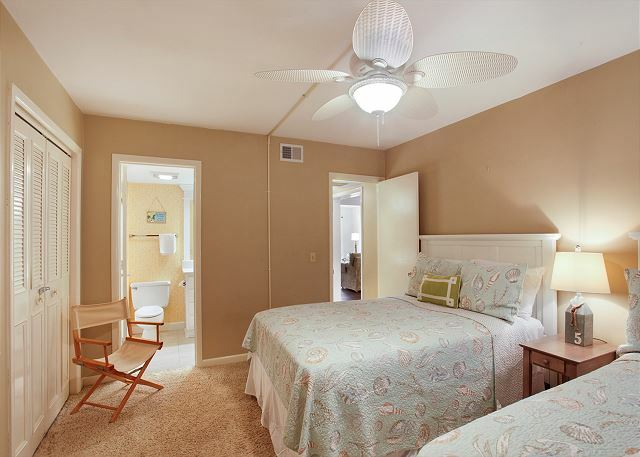 The unit is clean, the beds are comfy, and you even get beach chairs and a cart to roll them to the beach. And this unit has keyless entry so no need to carry keys to the beach!! Close to everything Hilton Head has to offer. Loved it!!!! We were close to the beach close to food, and bars. Our experience was very nice. The only exception was the view is not good. You look at the side of another building. We have stayed at this facility many times, but in a different unit. Would recommend Surf Court to anyone looking for a quiet property that is close to almost everything. 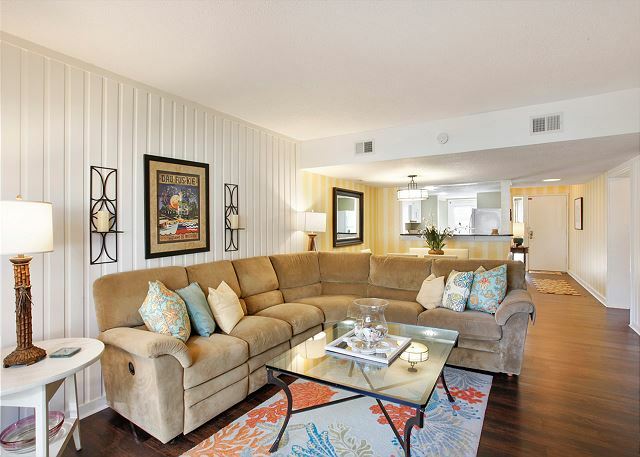 We have stayed at Surf Court for many years and have always found the condos clean. We like that area because of easy beach access and proximity to restaurants and other activities. 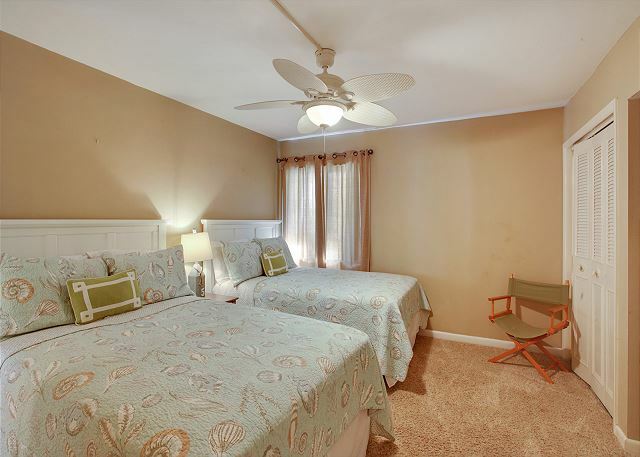 This is a great place to stay that is very quiet, close to the beach and has a great pool. We stay every year here. 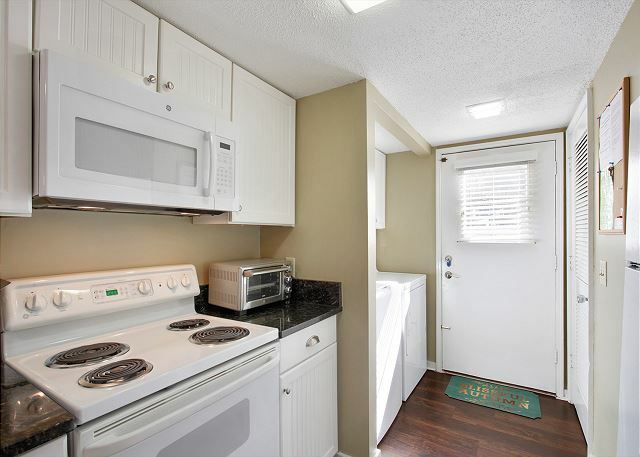 The decor in this unit is very nice. The only suggestion would be better lighting in the kitchen and ceiling fans in the bedrooms. I love staying at Seashores because of location. The beach is close, there is a pool, it is very quite. The place feels like home. Also close to little shops walking distance. Condo was cleaner than what we had expected. Nice place. The unit fit our needs to a "T" for a short 3 night stay. Being on ground floor with front door parking was reason we chose #16. 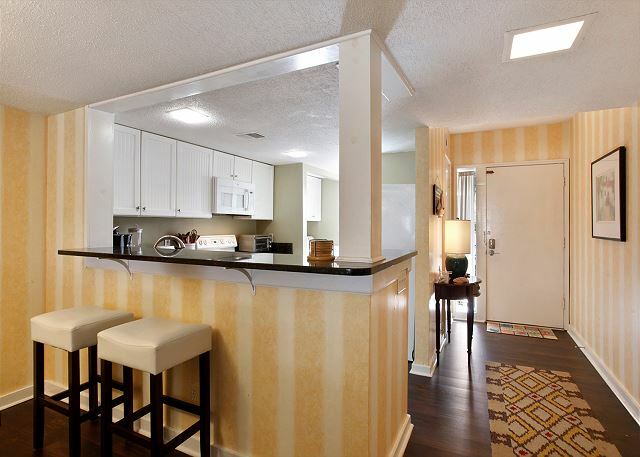 The unit was nicely furnished with adequate amenities. Unit was directly across the street from a foot/bike path leading to the beach. The interior grounds & pool were also nice. Would stay there again and would recommend unit to friends. 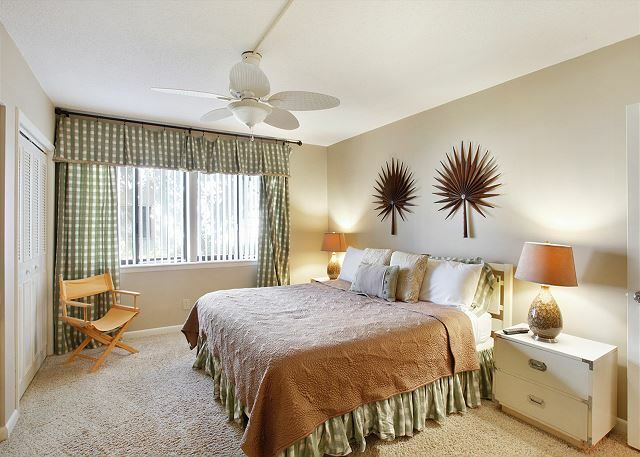 Wonderful, clean, neat, comfortable, amazing location, loved being in walking distance to everyghing. I have stayed at Surf Court a few times. 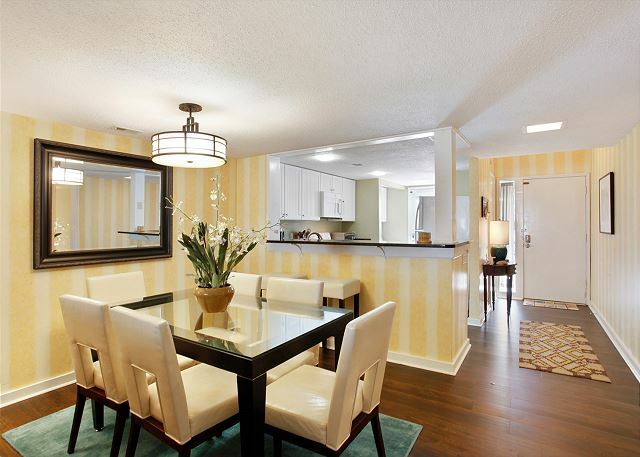 This condo was my favorite by far! Wonderful week at the beach!! I wanted to get my Mom something special for Mother's day this year so I rented this property for a week long vacation for her. 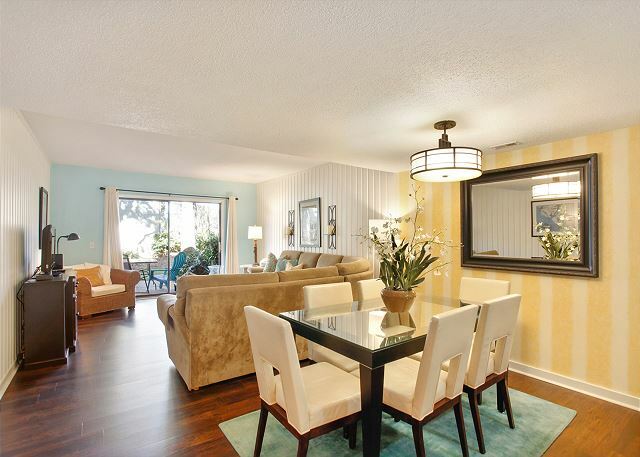 The location is perfect because it is so close to the beach and shopping. Mom could walk every day to Coligny and sit on the beach or swing on the swings. 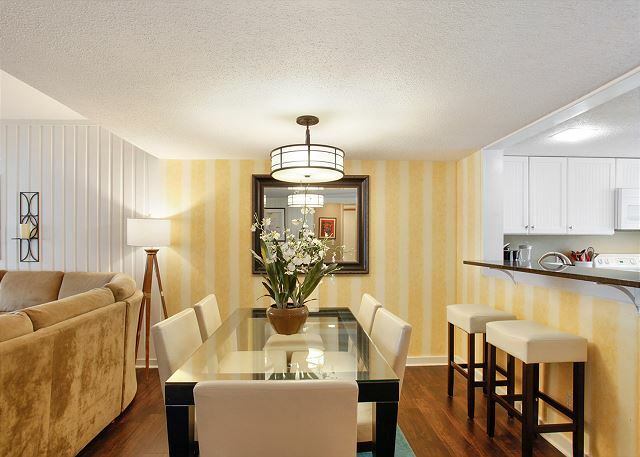 The added bonus is the condo itself. 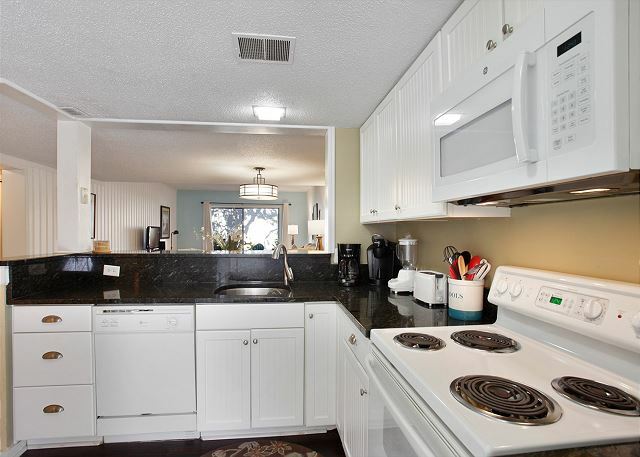 It is decorated beautifully and offers everything you could possibly need. Mom had a great vacation and she tells everyone it was "Just Lovely". A great big thanks to everyone at Seashore Vacations for everything that you do. Spur of the moment (late on a Saturday night), my husband and I decideed we were going to go to the beach. Since our children are high school/college aged, we couldn't find a week that everyone could go. Surf Court 16 was perfect!!! We started each morning with a 4 mile walk on the walking/bike paths. Cleaned up and walk across the street to spend the afternoon on the beach. 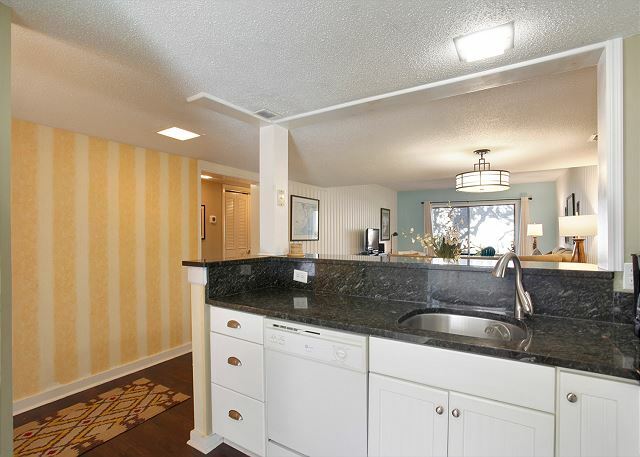 In the evenings, we would walk to Coligny Plaza for dinner. One bad habit we developed was walking to Wild Wings Cafe to watch the NBA Playoff and would eat yummy cheese fries and wings. Our family recently returned from a wonderful week in Hilton Head! 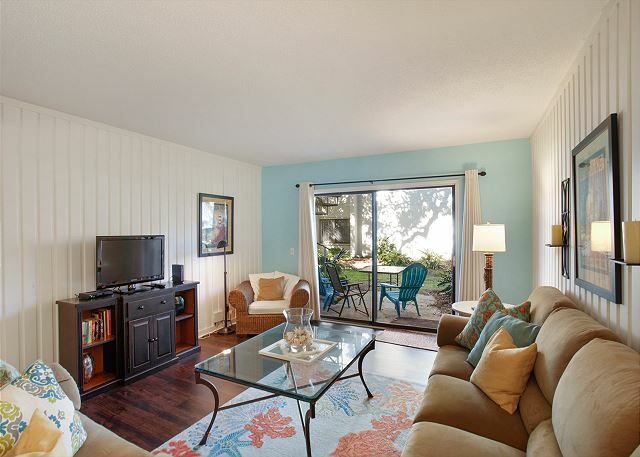 Our condo at Surf Court 16 was open, spacious, comfortable and clean. We were close to the many activities we wanted to enjoy and felt right at home! 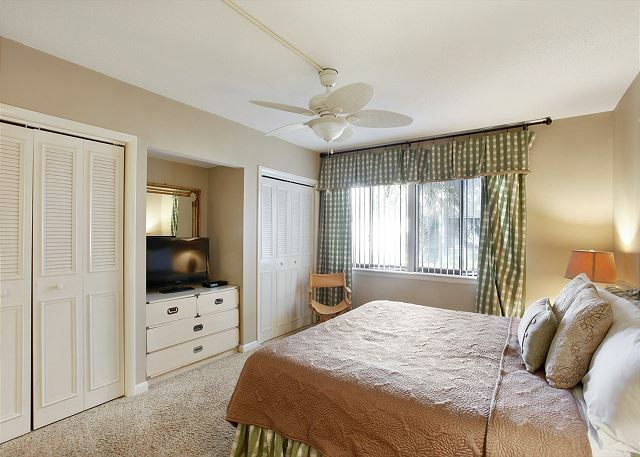 The furniture and beds were exceptionally comfortable and the condo very nicely decorated as well as affordable to families like ours who are budget conscious. Overall, we felt like we found a second home to enjoy when we return again! Seashore Vacations is a company I would recommend to anyone wanting great customer service! Thanks for helping make our family vacation a most memorable one! We very much enjoyed our stay. Seashore Vacations provided exceptional service. Early in our stay the coffee maker stopped working as we were preparing breakfast for some guests. We called Seashore Vacations to find out how to replace the coffeemaker. Twenty minutes later the doorbell rang and a Seashore Vacations staff member handed us a brand new coffeemaker. This set the tone for a great stay.